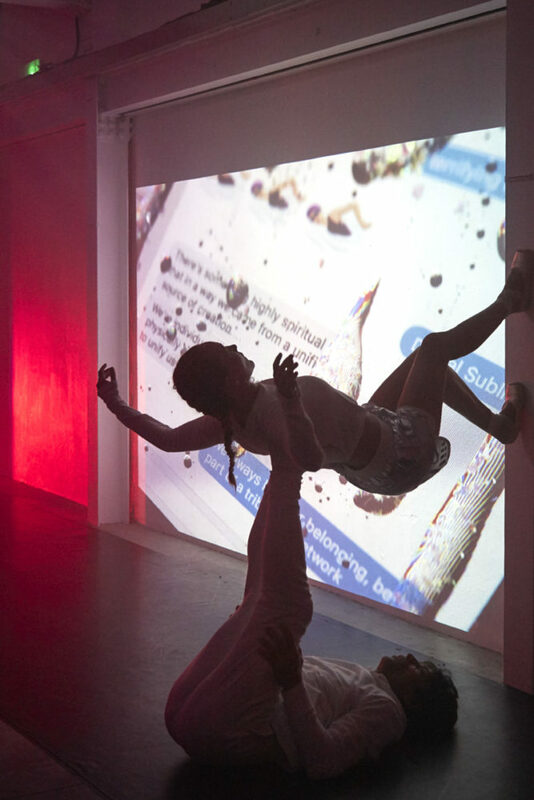 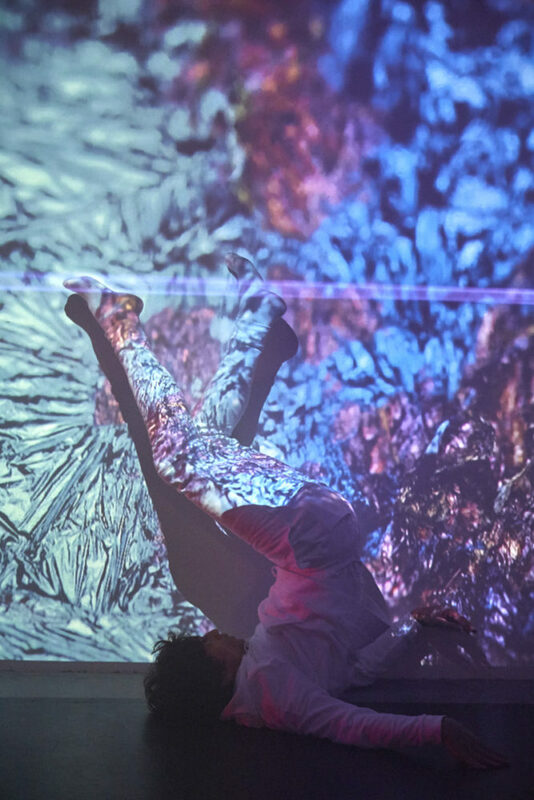 The latest video collaboration SUB-, by Flavie Audi X Samantha Lee exploring the physical materiality of the screen and how daily interactions are increasingly happening on surface level. 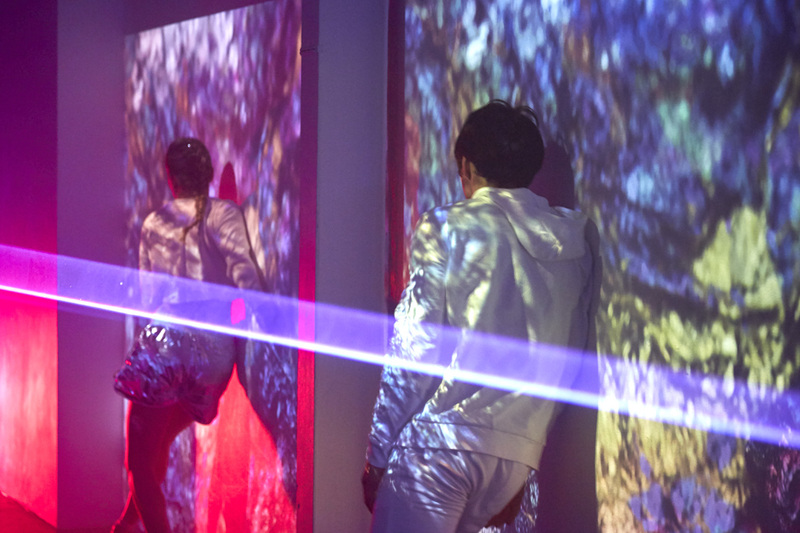 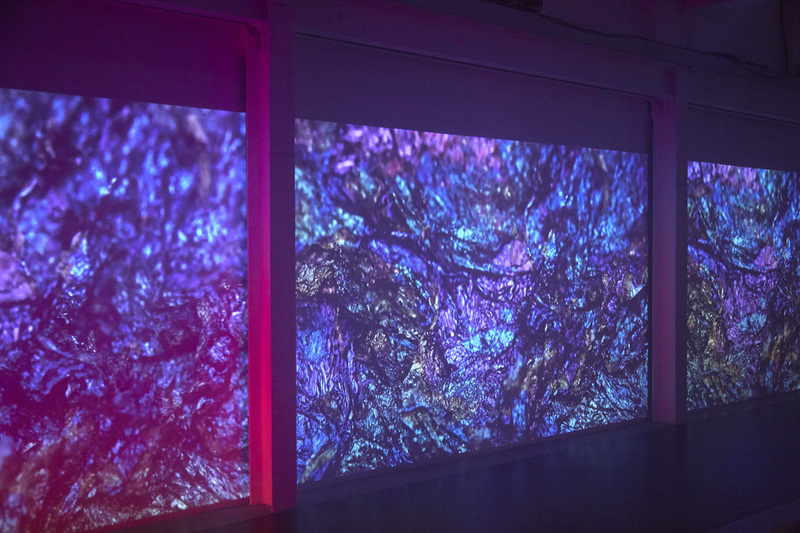 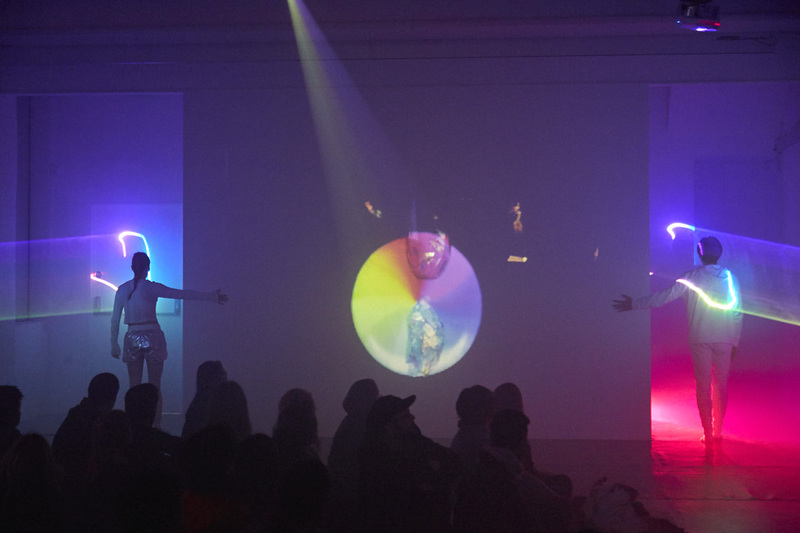 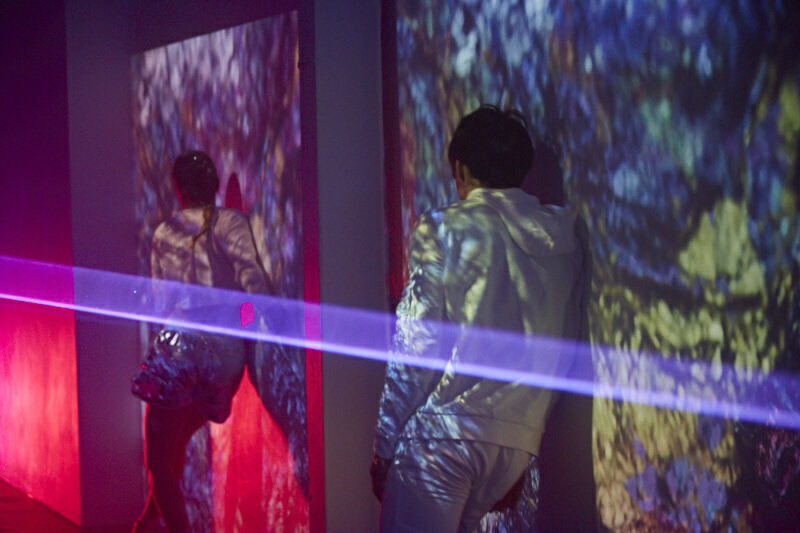 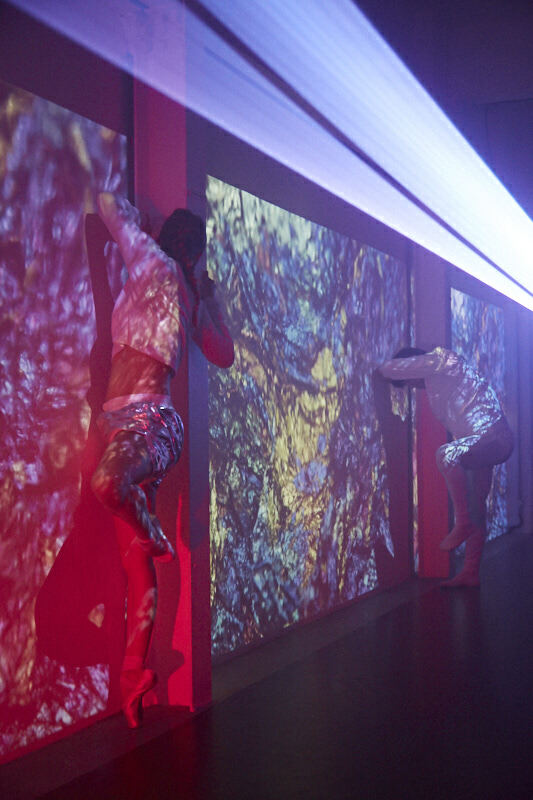 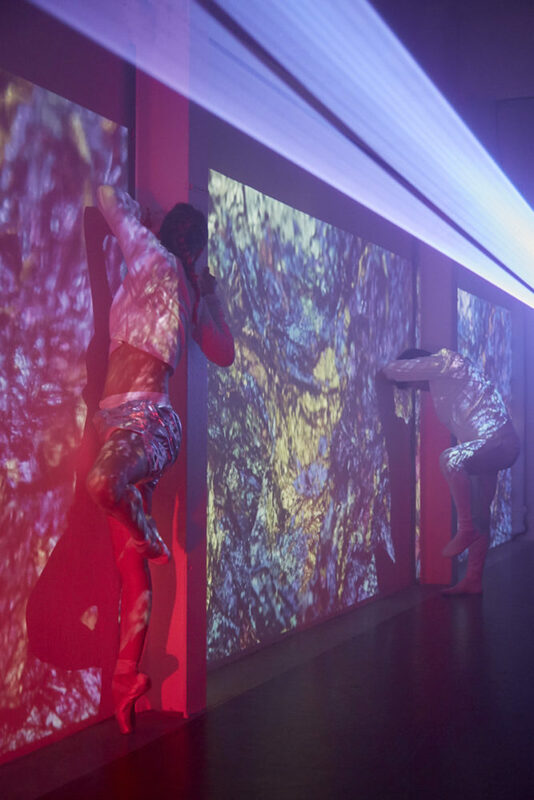 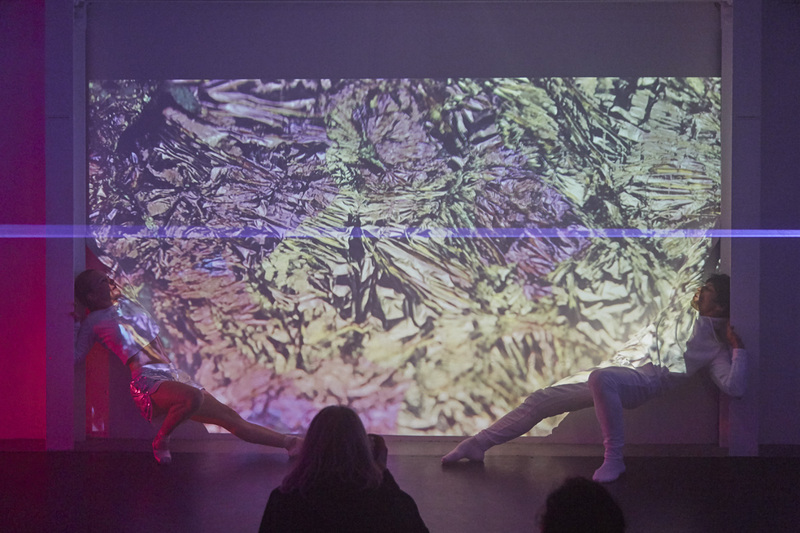 Presented as a multi-screen installation, viewers travel above, inside and below an iridescent slurry of prismatic matter as if experiencing an osmosis between virtual and real. 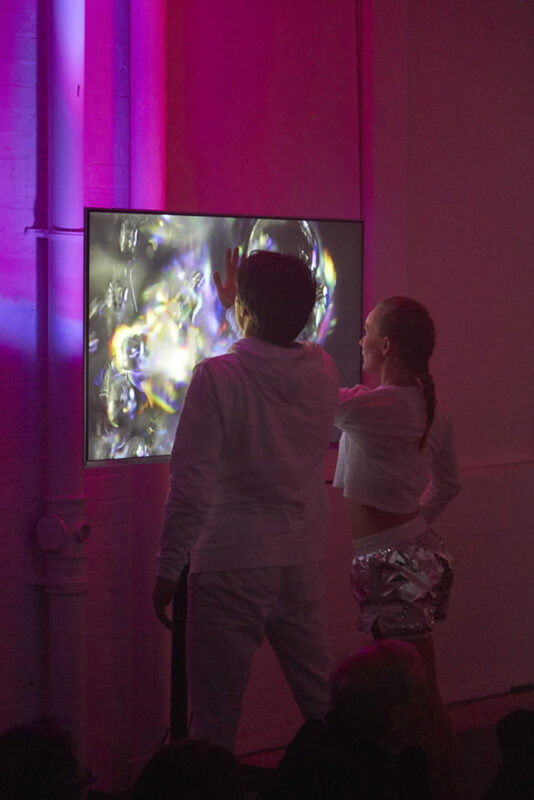 The geology of the Liquid Crystal Display is imagined through a world compressed in a screen. 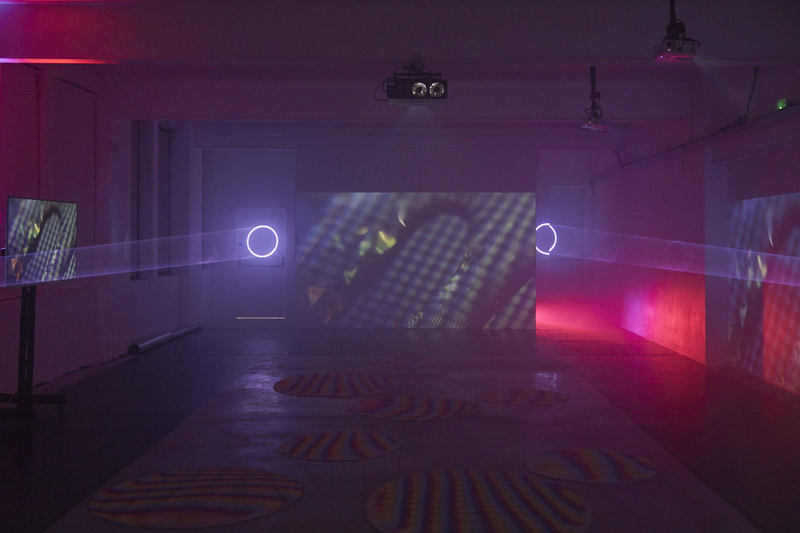 Shot entirely with a macro zoom, the video combines lo-fi visual effects with a soundscape appropriated from acid house, communication devices and computational machines. 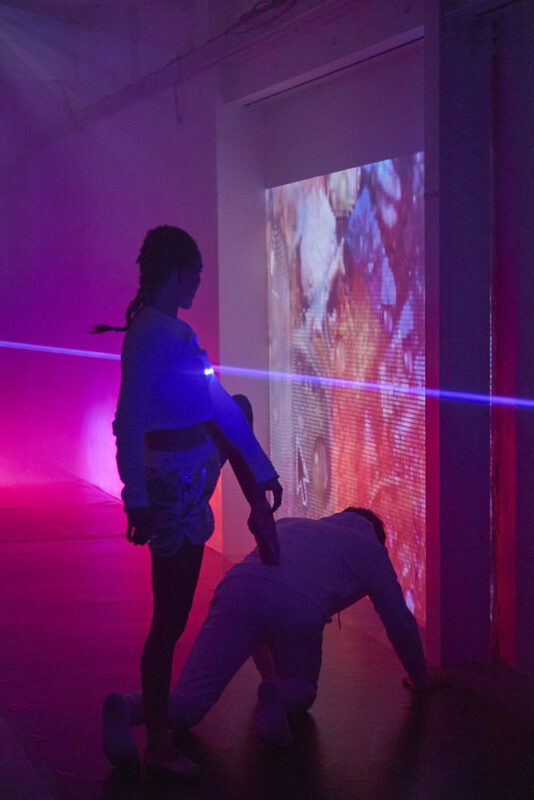 SUB- speculates on a future nostalgia for the pixel and its grid-likearchitecture in the face of imminent obsolescence. 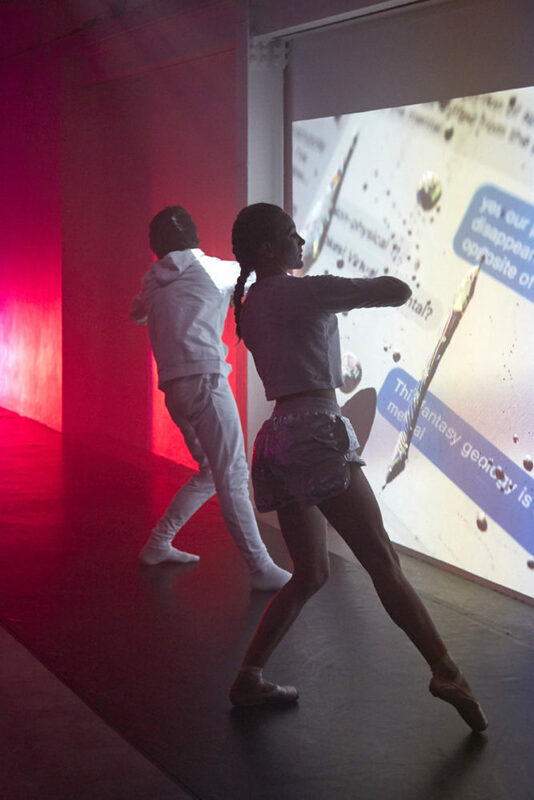 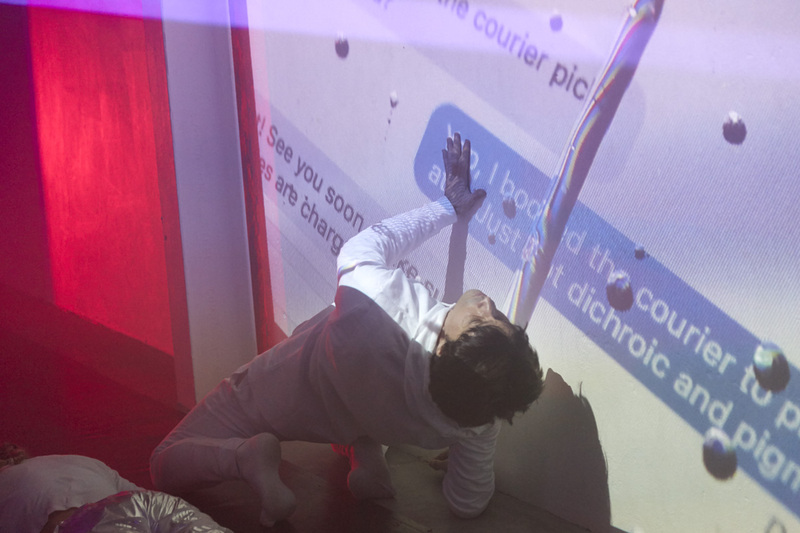 Central to the video are conversations that punctuate the flow of time, seen as literal text messages consisting of both spontaneous and fabricated discussions. 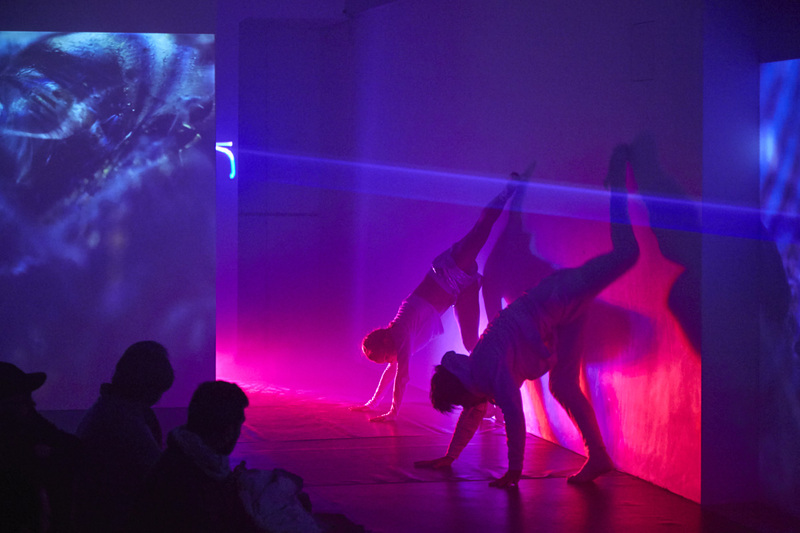 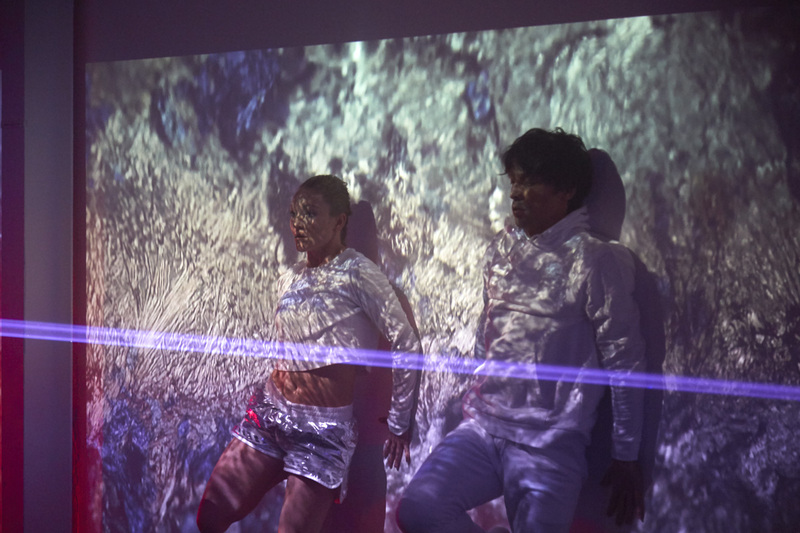 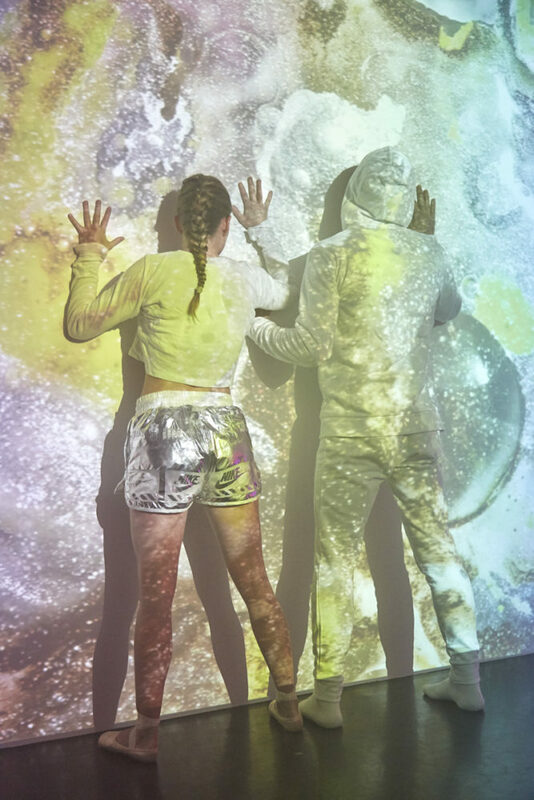 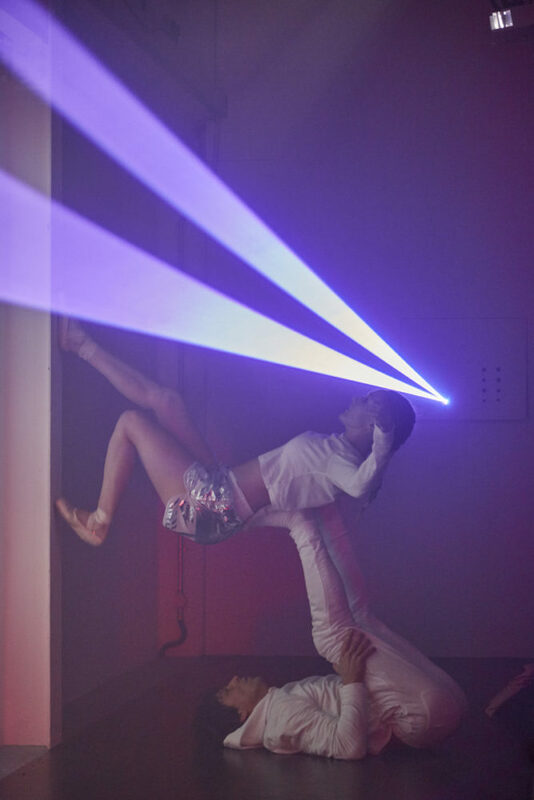 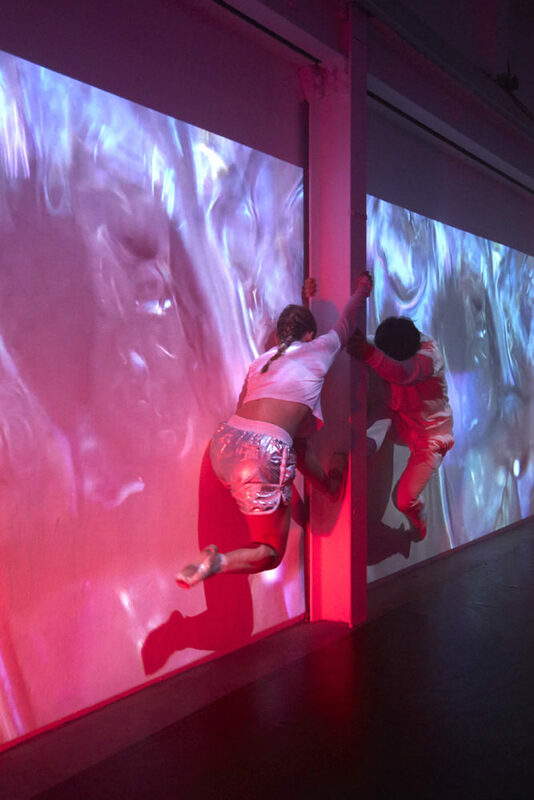 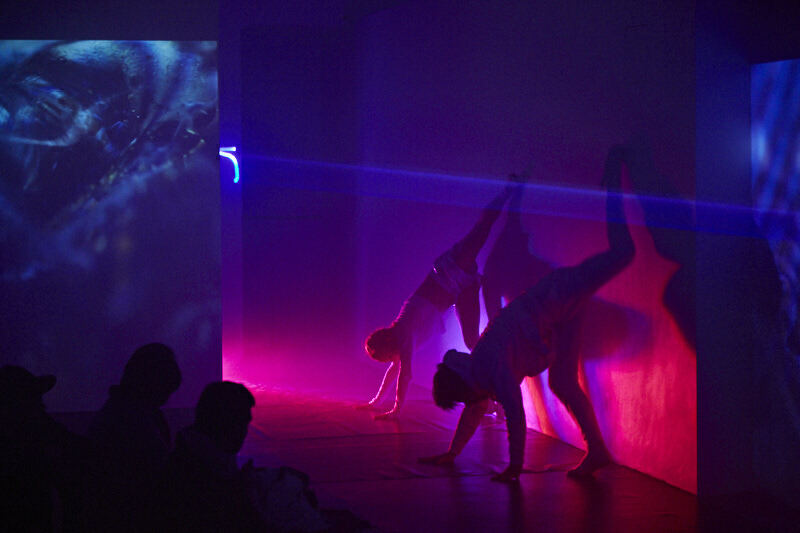 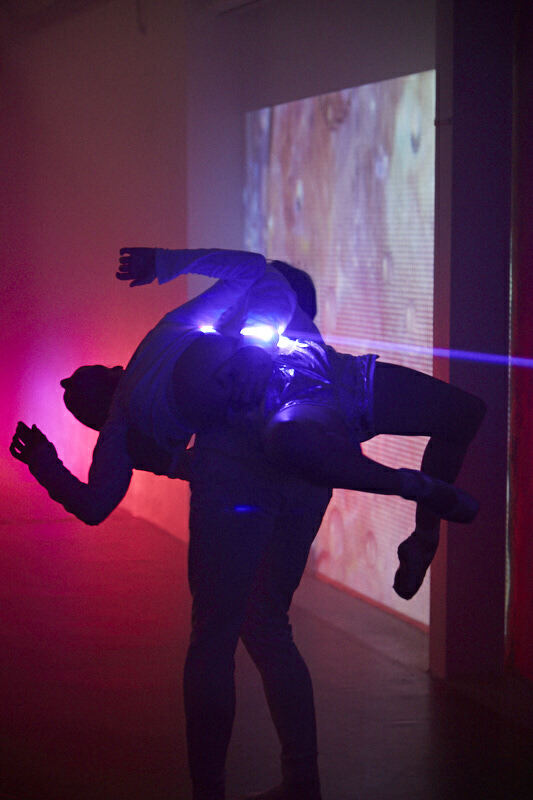 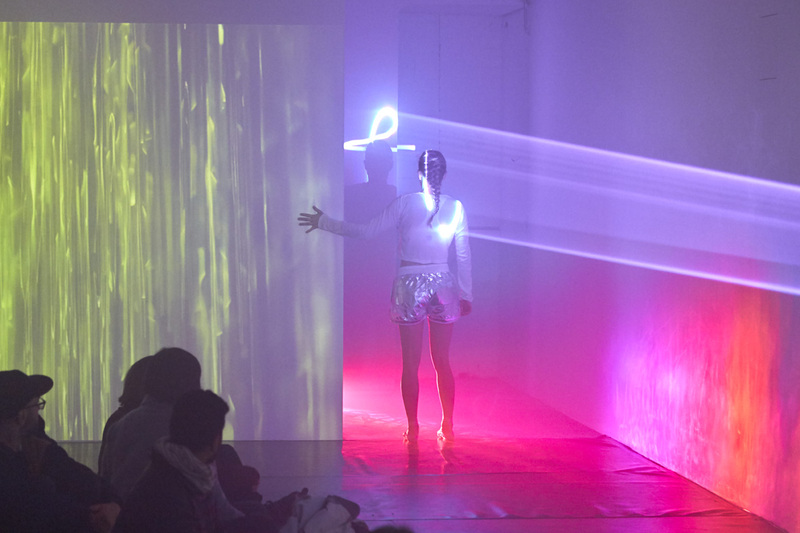 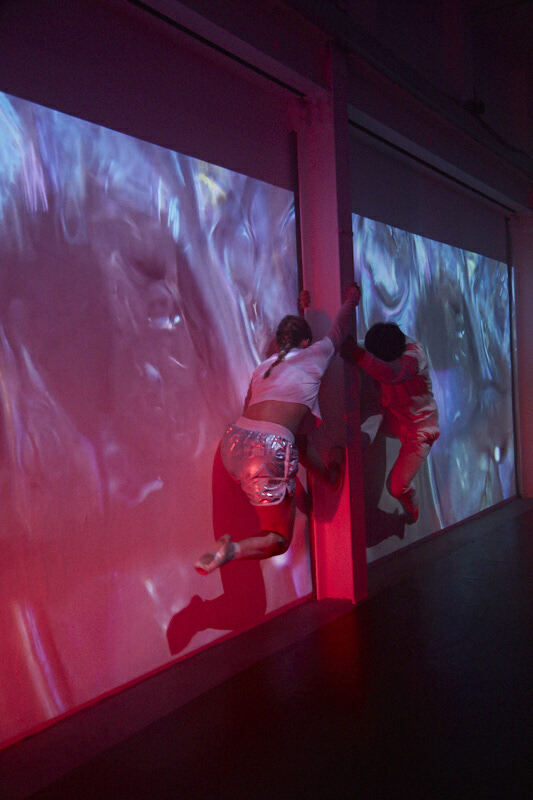 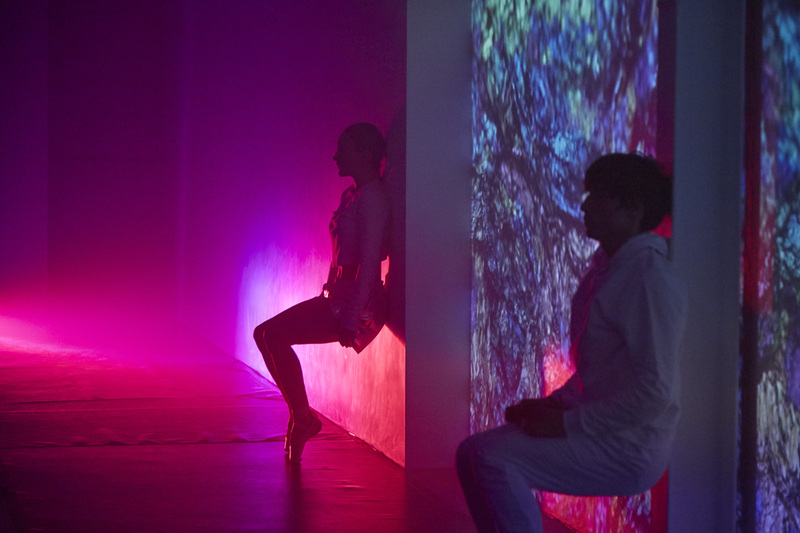 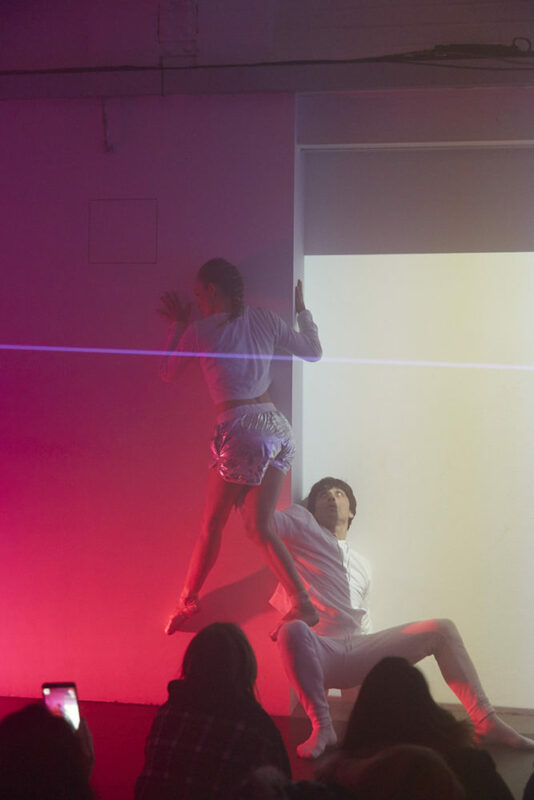 Expanding on this dialogue, the artists collaborated with choreographer Kirill Burlov to develop a performance that responds to the visuals and the architecture of the space. 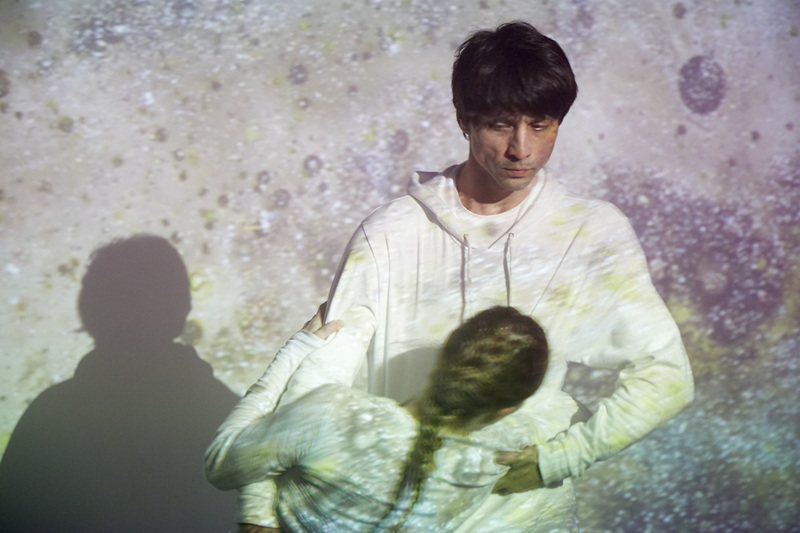 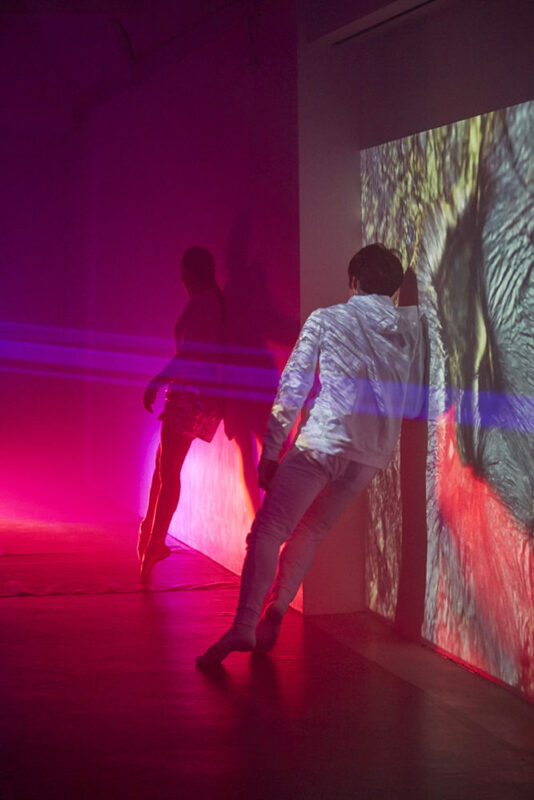 By designing site specific movements for two dancers, he explores the connections and limitations between human touch and the shifting position of screens.